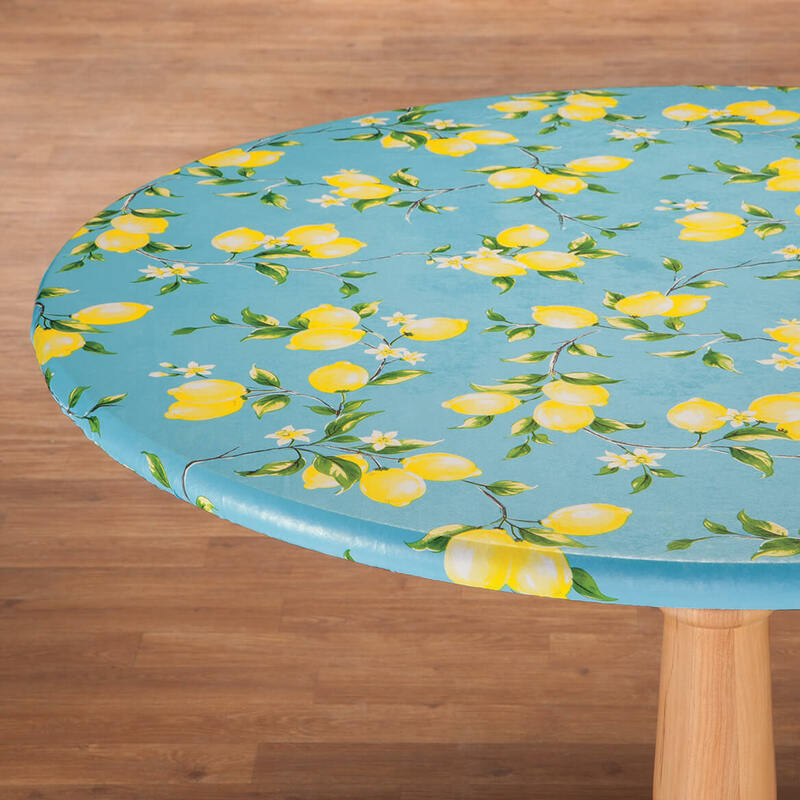 I am buying another table cover like this one! A fitted table cover is just what I needed. It's protecting my table top, stays in place and there is nothing draping down the table to get in the way. I loved this table cover when received. Looked so pretty and fit our patio table so well. However, within a month of being outdoors in the weather, the yellow disappeared from the lemons. It continued to fit well, and overall looked not bad even with white lemons. But the yellow lemons had been so attractive, it was sad to lose the color. 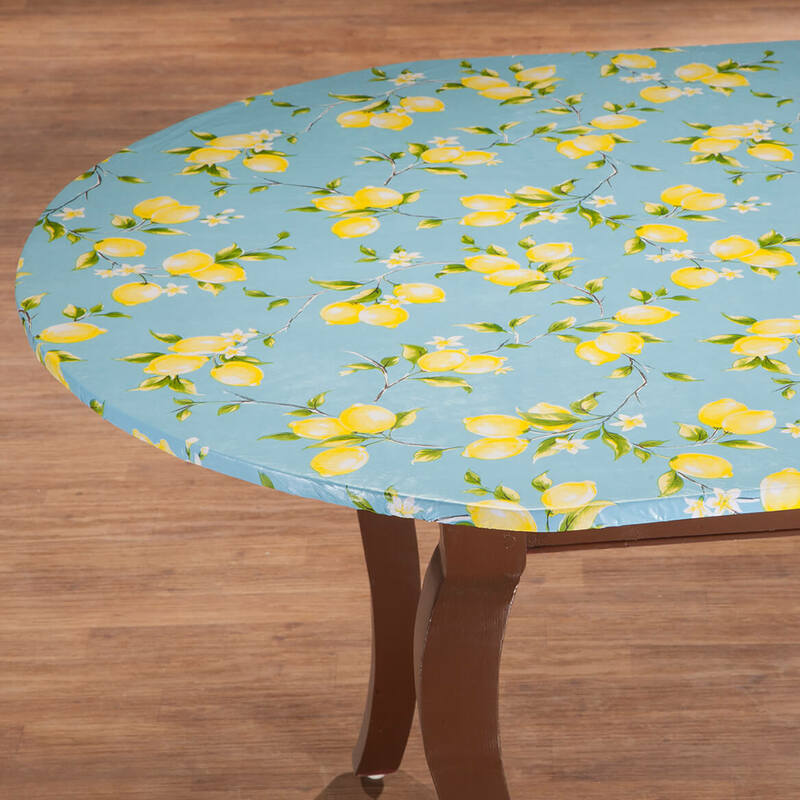 Cute everyday tablecloth - love the elasticized type that hugs the table!! I have used your round vinyl table cloths for years. They fit nice and snug and do a beautiful job in my sunroom. I wanted to try a tablecloth that protects my table top and also doesn't keep moving with small ones in the house at times! This one has a kitchen type pattern also pretty. I liked the pattern and the colors. Plus I like the elasticized table covers. 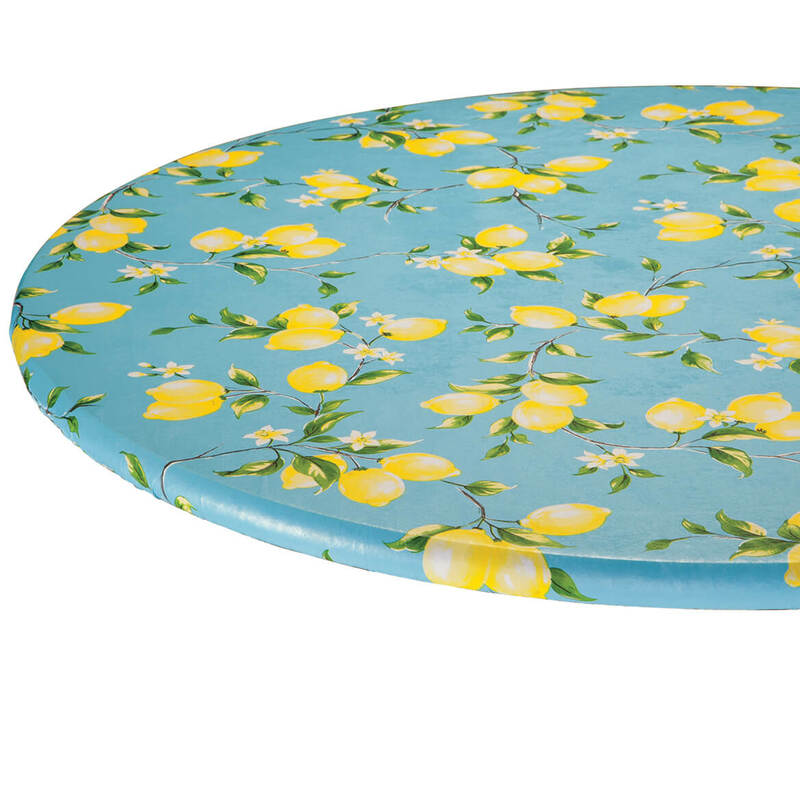 I chose this tablecloth because it's pretty and bright.